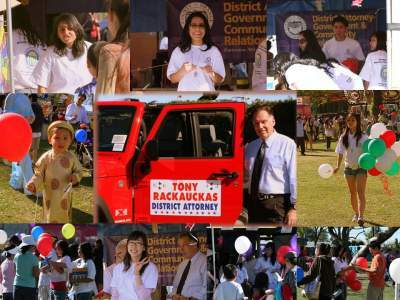 GARDEN GROVE – The Orange County District Attorney’s Office (OCDA) is proud to participate in the 32nd annual Tet Festival this weekend Sunday, Feb. 10, 2013. The 2013 Tet Festival is a celebration of the Vietnamese New Year, “Year of the Snake,” and will feature entertainment, games and prizes, food, art and culture vendors, and exhibitors from local business, government, and law enforcement agencies. This event will take place at Garden Grove Park, 9301 Westminster Avenue, Garden Grove. To encourage community participation in law enforcement and community awareness regarding public safety, the OCDA Government and Community Relations Unit will host booth SW-29 and will speak with visitors and hand out information in English and Vietnamese. The materials will cover information regarding victim resources, crime prevention, the criminal justice system, and the negative consequences of driving under the influence of alcohol or drugs. The festival is organized by the Union of Vietnamese Student Associations.